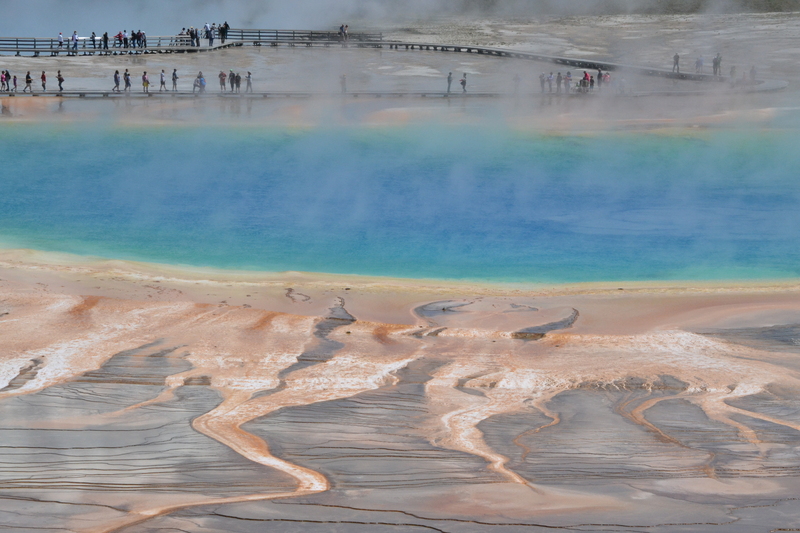 I’ve not been able to see Yellowstone’s Grand Prismatic either of the previous two times I’ve visited the national park. The parking lot for both the boardwalk and the trail to the overlook were way too packed, and there was too much else to see and do for me to sit and wait for a spot to open. But this time, while on a trip with my girlfriend, I was lucky enough to be able to wedge into some great front row parking and see one of the best sites of the park – the largest hot spring in the country and the third largest in the world – and certainly one of the most memorable from our vacation.